It's time for preseason! This patch is less about the big meta shifts and gameplay evolution you've seen in preseasons past. Our focus is on refining your existing experience so the time you spend playing League is as satisfying as possible. We've got four major themes this year: laning phase is improved and slightly longer; comebacks are more achievable and satisfying; decided games resolve faster; and rune paths no longer dictate stat bonuses. As is customary, there are also bunch of changes that don't fit into those buckets too (Lissandra has a real passive now!). This is the first sizable patch we've had in a few months, so there's surely something for you in it! Now get to reading, then get to playing. Yorick's bugfix overcorrected and ended up pulling more aggro onto him than other pets draw to their owners. BUGFIXFIX Mistwalkers and The Maiden no longer draw minion aggro onto Yorick if they damage an enemy champion. The turret aggro portion of the fix is still in place. This season's harvest was too bountiful. R duration decreased; now always grants max heal if Blood Well is over 80% filled. Aatrox won't have as long to wreak havoc with the promise of revival during World Ender, but he'll max out the revive heal sooner. A few clarity improvements will help enemies make the best choice when deciding when and if to kill him the first time or wait out the clock to deny the revive. W base damage increased; AP ratio now scales with rank. R damage decreased against minions and non-epic monsters but no longer falls off per target hit. We promised we'd look out for AP Ezreal after his update, so we're back with a few more changes. Apart from some pure power-ups to W, we're also pushing the difference between builds by making Trueshot Barrage—which is stronger for AP Ezreal—a more powerful AoE teamfight ability. New passive. Mana regen growth increased. Q, W costs decreased. W damage decreased. Short E dashes are faster. R ratio decreased. Despite her recent presence at Worlds, Lissandra's passive has always felt somewhat flat, particularly since her mana costs have been balanced around the free cast. As a result, many Lissandra players feel like they don't actually have a passive. We're getting rid of Iceborn and introducing Iceborn Subjugation, rewarding her burst and pick strengths and synergizing with her AoE teamfight disruption. ICEBORN SUBJUGATION When an enemy dies near Lissandra they become a Frozen Thrall. Frozen Thralls seek out living enemies, slowing their movement speed when nearby. After a few seconds, Frozen Thralls shatter from the intense cold, dealing magic damage in an area. Q cooldown, cost, Worked Ground duration decreased. Q multi-hit damage penalty now applies to everything, not just champions. We're siphoning some of Taliyah's monster (and minion) killing strength into power that helps her in a wider variety of situations. Just a bugfix, but one that asks Yorick to be a bit more careful when sending his pets after opponents. Passive regen now based on missing health. Scaling regen means Doran's Shield will still be a powerful option against constant poke, but won't leave users impervious to all-ins. On-hit flat damage increased; ratios removed. Now grants armor and magic penetration. Stacks no longer grant AD/AP. Cost decreased. Guinsoo's Rageblade can function as both a one-item power spike and a late-game scaling engine, which has led to numerous balance issues over time. This update leans into the former: The switch from percent AD/AP bonuses to hybrid penetration puts emphasis on base values rather than scalings, including Guinsoo's on-hit damage which is back to a flat 15. Penetration also plays poorly with Infinity Edge's true damage conversion, making Rageblade a less desirable pickup for champs who ultimately want to play the crit carry game. Finally, a cost reduction ties the bow on the Rageblade rush package. Monster Hunter gold penalty removed. Other preseason changes increase the risks (farm bounties) and tradeoffs (turret plating) of the gold funneling strategy that originally caused us to introduce the Monster Hunter penalty, so we don't need it anymore. Minion execute threshold increased for Relic Shield's upgrades. We're helping Relic Shield's upgrades keep up with the minion health increases preseason brings. Control Ward inventory cap reduced. Trinkets scale with average level of all champs in the game instead of owner's level. Warding Totem ward duration decreased late. Right now, the vision game overwhelmingly favors the team that's ahead. They have the most freedom to place wards and the most gold to put into vision denial via Control Wards. While helping ahead teams close games out is one of our preseason goals, vision does so in an incredibly slow, safe manner that reduces action. With a ton of other preseason changes designed to help decided games end faster, we're pulling back on how high the winning team's vision advantage can climb. Outer turrets have extra resistances early but grant gold for each 1000 health they lose. The gist here is that turrets won't fall over at 5 minutes when the enemy team groups up and hard-pushes your lane. Instead, as they chip your turret down, they'll get some extra gold to reward their aggression while your turret becomes increasingly harder to kill. It’s win-win: Lane bullies get more turret gold than before while late-scaling champs have a more reliable window of safety to farm under turret. This also means your lane won't be decided as heavily by the success or failure of other lanes since their own turrets are harder to take too. The falloff mechanic ensures lane phase won't be too much longer on average and makes plating gold a true advantage for early-game champs since once it's gone, it's gone. BULWARK For 20 seconds after a plate is destroyed, the turret also gains Bulwark, granting an additional 25 armor and magic resist for each nearby enemy champion past the first. Multiple instances of Bulwark stack if multiple plates are destroyed within a 20 second window. Outer turret health increased; resistances removed. All turret AD scaling increased. First turret bonus reduced. The first turret bonus and outer turret changes were made to accommodate turret plating (see above). Beyond those, turret damage is going up to add risk back into to dive attempts, while global gold is going down to shrink the teamwide snowball granted by one lane pulling ahead. Minion health, AD, and movement speed scaling increased. Cannon minions spawn faster earlier in the game. Baron buff is meant to enable game-ending pushes, but it's become near-mandatory for a team to close out a match. We're making minion waves more effective at supporting sieges on their own so teams with huge advantages don't have to wait on Baron's respawn timer to end the game. Shorter downtime between major objectives pushes teams to fight more frequently and increases the uptime of buffs, leading to fewer stall-outs. First spawn is later; respawn is faster. Gold and experience increased. Buff strength increased early. We're increasing the value of early drakes so teams are less willing to give the first few away. Pushing initial spawn time back gives teams more time to prepare for that first drake fight. Camp monster experience unchanged early, reduced late. Junglers have been slightly higher-level than intended following midseason's changes to camp experience. With the greater potential for impact that preseason offers junglers via stronger early drakes and a longer lane phase, we're toning the upper end of monster XP scaling down to get them back to their intended leveling pace. Rune path bonuses removed. Select one stat from each of three rows before each game. Go forth and pick the runes and stats you want! newRUNE STATS Three stat rows have been added to the Runes interface. Pick one stat from each row. Rune stats are editable in champ select. Now that mages aren't punished for going into Precision (via an unfavorable attack speed path bonus), we're pulling back on the AP incentive we added to Fleet Footwork earlier in the season. Now amplifies movement speed bonuses rather than all movement speed; no longer grants adaptive force. Movement speed and adaptive damage are two of the most generically valuable stats in League, so whenever Celerity was tuned to be strong, it was a must-pick for any champion. Removing the damage conversion lets us carve out a sharper identity: Now that we don't have to worry about excessive AD/AP in outlier cases, Celerity can grant larger movement speed bonuses for champs and teams with lots of haste effects. Switching from all movement speed to only bonus lets us push that niche further. Now only procs on low-health targets but no longer requires a soul to have recently been collected. Cooldown partially resets on takedowns. No longer stacks off minions and monsters. We like Dark Harvest's infinite-scaling fantasy, but haven't been thrilled with how often it leads to a single, super-loaded basic attack deciding fights before they even begin. We're reworking it to be an execute-focused keystone that only stacks via champion combat, with a reset system to make all-out brawls even more rewarding and a broader proc model to widen the pool of potential users. 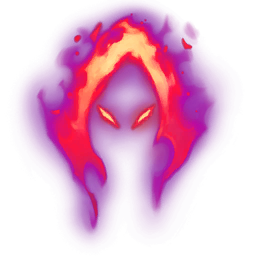 Damaging a low-health champion deals bonus damage and harvests their soul, permanently increasing the damage of future procs. Charge-up time decreased. Base damage decreased. We're giving Demolish a usability buff to make it more broadly appealing, but reducing its base damage to preemptively avoid it becoming a must-pick to snag turret plating gold. Gain bonus resistances while shielded. Your next basic attack after gaining a shield deals bonus damage. We're adding a new Resolve minor rune to the first row, aimed at champs with self-shields as well as damage dealers with shield-granting allies, items, or runes. Damage block increased but duration decreased. Moved to row 2. One of the subtle strengths of Bone Plating is that it's the only pure defense rune in Resolve's first row, therefore the only pick for champs who want defense in every slot. Adding flat resistances to the mix via Rune Stats would've made defense stacking overwhelming, so we're moving Bone Plating down to row 2. 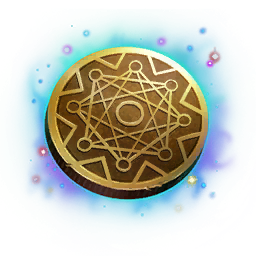 We're also sharpening it into an anti-burst rune to make it less generically effective. "Stacks" now grant flat health rather than percent health. At 120 minion and monster deaths, gain a percent health bonus. Switching to flat health as a "stack" bonus makes Overgrowth more appealing for non-tanks who go Resolve while the new unlockable percent health bonus keeps it rewarding for tanks too. Now procs off the next two basic attacks after using an ability rather than just the first. Wards no longer drop after 20 minutes. Giving Kleptomancy a second proc broadens its user base beyond Ezreal champions whose abilities either reset or count as the basic attack that procs Klepto. We're also removing wards from the loot table after 20 minutes since at that point inventories are often filled with component items and the wards just immediately drop onto the ground. Kill bounties increased at 4+ kills. Minion & monster gold advantages now factor into bounties. Bounties on the losing team reduced. Bounty payout per kill now capped. The goal of our bounty changes is to help teams bounce back from slight to moderate deficits via higher rewards for successful comeback plays and lower payouts for dying when you're the one keeping your team in the game. We're also making a long-requested change: Bounties won't change until combat ends, so if you grab a bunch of kills in a teamfight, your value won't go up until you've at least had a chance to spend your gold. Finally, large bounties have been added to the scoreboard so you can spot the highest-value target to take out. newBUY THE FARM If, since their last death, a champion has earned 250 more gold from minions and monsters than the enemy team's average* during that time, their bounty increases by 50 gold, plus another 50 gold for each additional 150 gold their advantage grows by thereafter. MATH *Average is determined by dividing the enemy team's minion and monster gold by four, rather than five, based on the four sources of income on Summoner's Rift (top/mid/bot/jungle). Modes with smaller teams divide by the number of champs per team instead (ex. 3 for Twisted Treeline). newREPUTATION Bounties no longer increase mid-combat. If a champion earns multiple kills and then immediately dies, those kills will count toward their next death instead. newPAYOUT CAP A single kill can no longer grant more than 1000 total gold to the killer. Any bounty gold past the cap rolls over to that champion's next death. Minimum gold granted for killing an enemy with 6+ deaths increased. With the bounty increases above, there were weird cases where killing someone who was far behind felt like the wrong decision, since the gold you got was so little compared to the gold you could potentially get if they manage to accrue a bounty. Doubling the minimum kill gold should prevent those cases from cropping up. Channel time reduced but can no longer be canceled. Channeling Teleport is often enough to deter enemies from an aggressive push or dive, even if you have no intention of following through. The mind game is interesting, but should be accompanied by a higher commitment. Laners can still use Teleport to shut down cross-map plays elsewhere, but now they'll sacrifice more tempo in their own lane to do so. Also, if you pick a bad Teleport, there's no going back so you're probably gonna die. Click carefully. AESTHETICS We've changed the colors and slightly adjusted several Icons in the character stats panel ("C" menu) for easier readability. This change is in preparation for broader tooltip readability improvements coming this season! The first elements of Ranked 2019 are arriving. We're updating banners in the lobby and on your profile to show your highest earned rank from the last season. 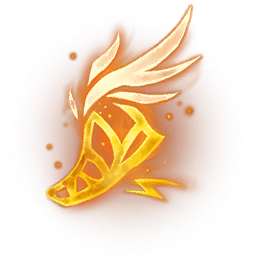 On your profile, this replaces the insignia that previously represented your past season's rank. You can switch off your past rank banner at any time by opening the summoner icon selector on your profile or in the upper right of the client. We've reworked the lobby to include the new past rank banners to get ready for Ranked armor in 8.24. There’s no new functionality, we just wanted to give you a heads-up that buttons will be in slightly different places. This change should help us clean up some technical issues we’ve seen with missions over the last few patches, like skipped ceremonies or delayed rewards.